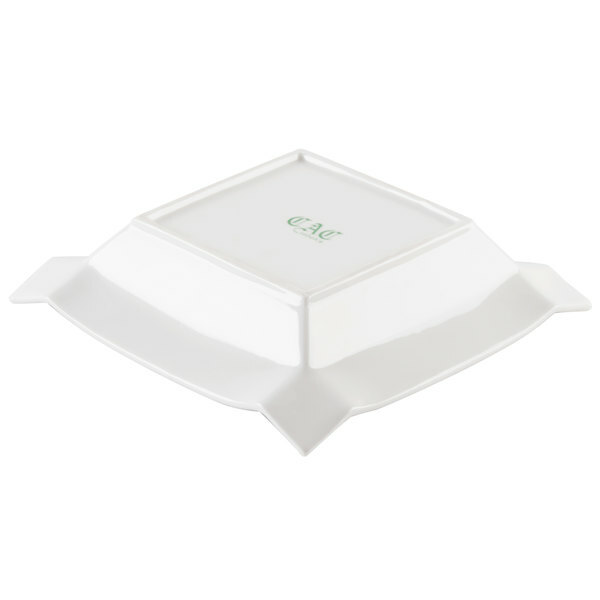 These CAC TMS-3 Times Square 8" china square soup plates offer a unique and stylish alternative to traditional dinnerware. 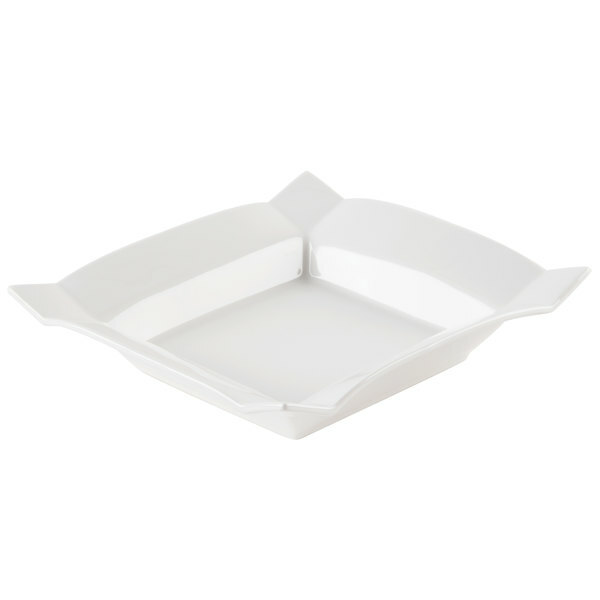 With their edges and corners each bent slightly upward, these square soup plates are reminiscent of an unfolded piece of origami which gives them a distinct oriental quality. 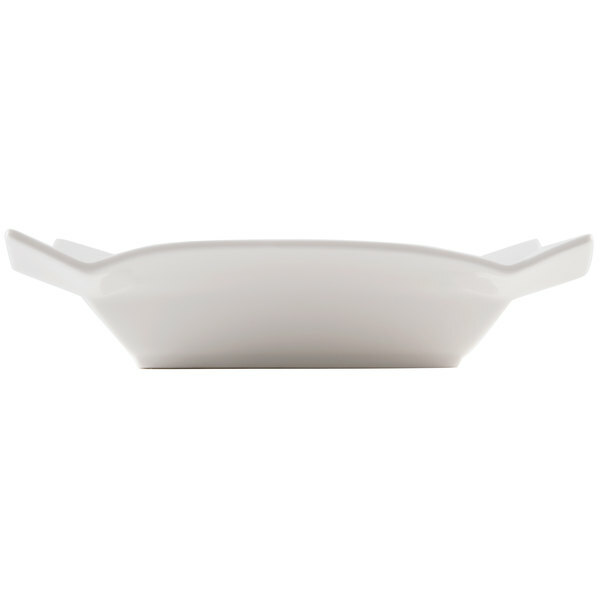 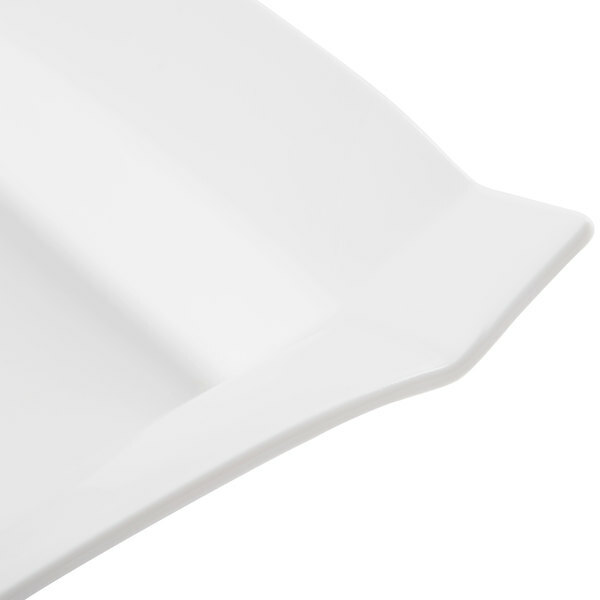 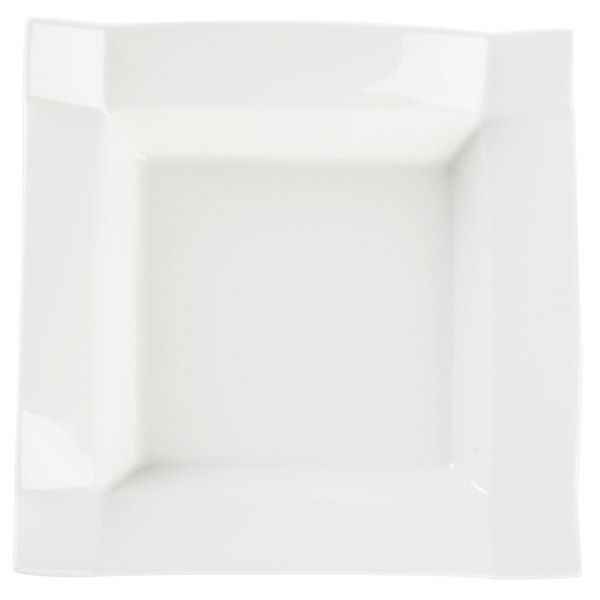 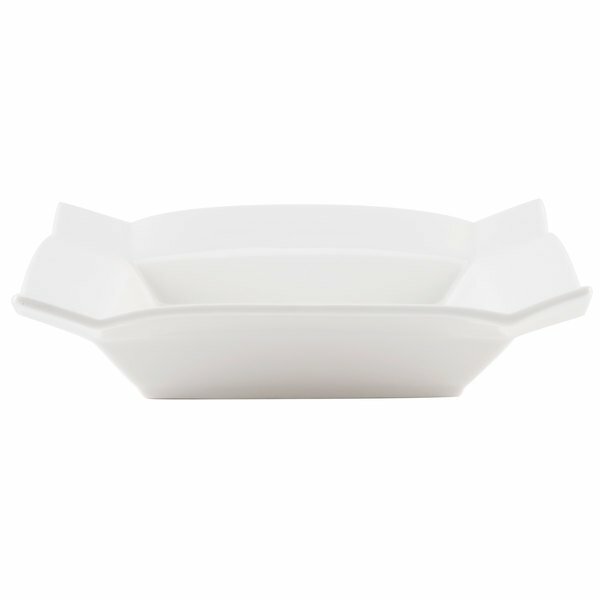 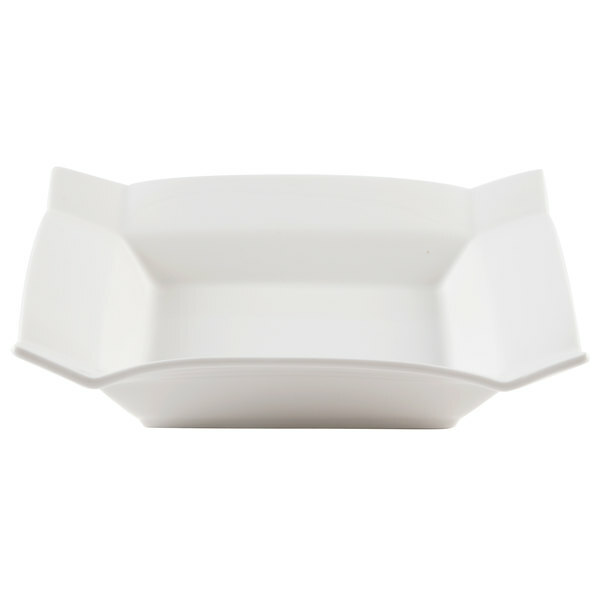 Perfect for use in ethnic restaurants, banquet halls, resorts, and other fine dining establishments, these bright white china square soup plates are both stylish and functional.